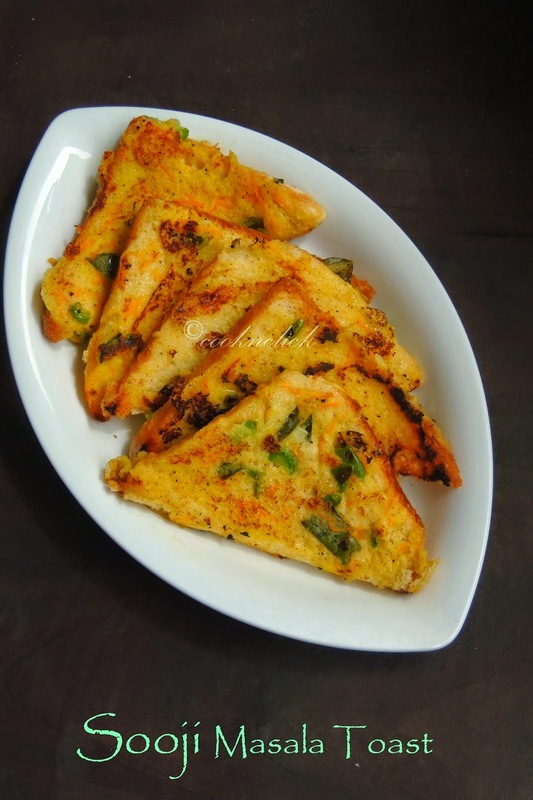 I tried this delicious looking toast from Priya's space,this masala toast tastes simply awesome when served along with tomato ketchup. Grated carrot and chopped capsicum added to a spiced curd- sooji mixture makes this beautiful masala toast.Whoever love spiced or masala toast for their breakfast or tiffin will definitely enjoy this attractive masala toast.This sooji bread toast is an excellent kids friendly snack or tiffin too.Trust me this toast will definitely fill those hungry tummies.Check out the Blogging Marathon page for the other Blogging Marathoners doing BM#42. Cut the bread slices diagonally, keep aside. In a large bowl, mix the semolina, turmeric powder, grated carrot, chopped capsicum, curd, salt, pepper powder with curd, water and mix well. Make semi thick batter,meanwhile heat a tawa, add a teaspoon of oil, dip a bread slice to the prepared mixture, coat well. Drop immediately to the tawa, drizzle oil,cook in medium flame, flip and cook again until the bread gets well toasted. Repeat the same with the remaining bread slices. perfect brunch dish.. I do this for my lazy weekend.. Indeed an easy tiffin! It is very tempting. I am salivating here, yummy and delightful breakfast. That slice looks really good. Pictures are great. Easy and tasty toast....... Have it anytime!! 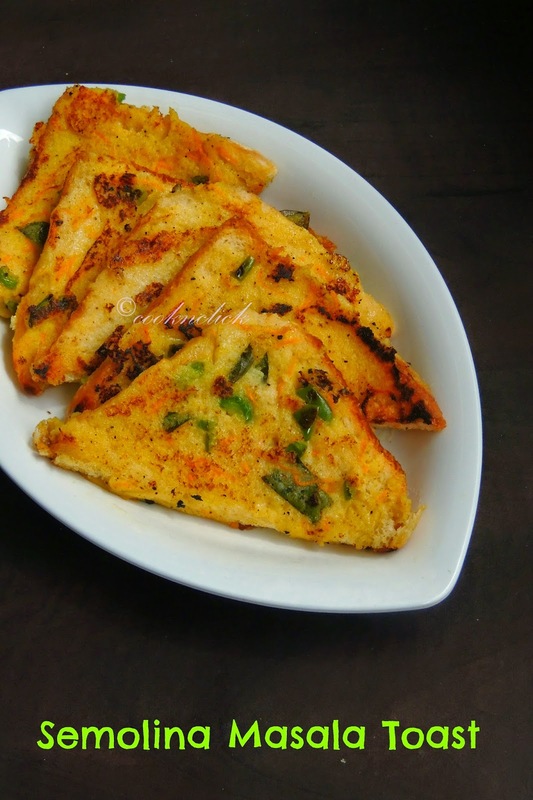 I am a bread fan and this will make such a wonderful breakfast for me..will try asap. That is a tempting and delicious toast.